Mitsubishi Electric is a leading innovator of new technologies in the lift and escalator market. The high speed installation installed at the Yokohama Landmark Tower in Japan is rated at 12.5m/s. This held the record for the fastest passenger lifts in the world until 2005. The spiral escalator is a unique product developed by Mitsubishi Electric. Mitsubishi Electric produces a complete range of products for all types of applications. As well as mainstream projects, Mitsubishi Electric has supplied and installed vertical transportation systems in many of the world's leading buildings. These extend not only to office buildings but also to banks, hotels and residential facilities. One of the major factors is the overall quality and reliability of the equipment. This has traditionally always been a priority in Japan and has been the biggest factor in the development of Mitsubishi's systems. 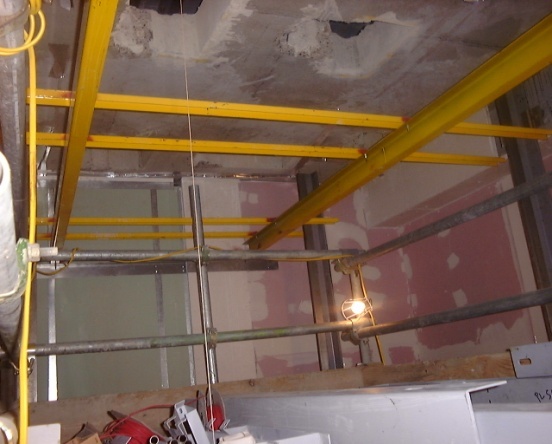 The installation of the guide rails was carried out by installing a template at the top and bottom of the lift well, which has interconnected piano wires at particular points to allow installation of the guide rails (and entrances). 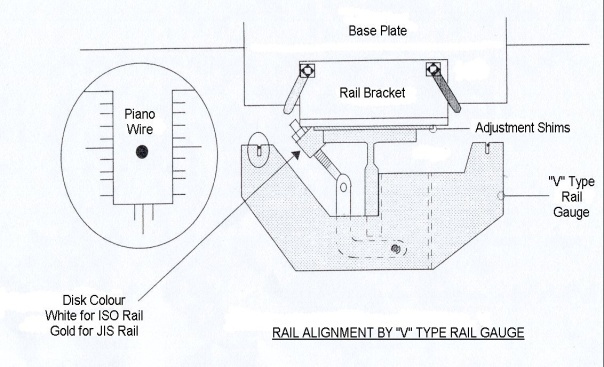 A typical way of achieving this is by using our "V" type rail gauge as shown. Indeed, the Mitsubishi lifts installed at 40 Bank Street at Canary Wharf have "recorded levels of vibration and sound... only half of the specified maximum". In terms of ride quality and noise, Mitsubishi have consistently manufactured and delivered well within specified limits and have a reputation for being the best supplier for this quality. High quality manufacture and installation leads to higher reliability and a longer lifecycle. Provision of maintenance after installation is a key service. Looking at overall statistics, it is on average 1.2 years between call-outs due to equipment failure per lift for installed Mitsubishi lifts (as of December 2011). The industry average is at least 4 call-outs per unit per year.